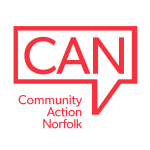 Community Action’s Norfolk’s second annual conference in West Norfolk took place on Monday 28 November. We had a great turnout on the day and some brilliant, enlightening presentations from leading local charities, public sector representatives and businesses. If you missed out, or just want to refresh your memory about information provided, copies of all the presentations made on the day are here.